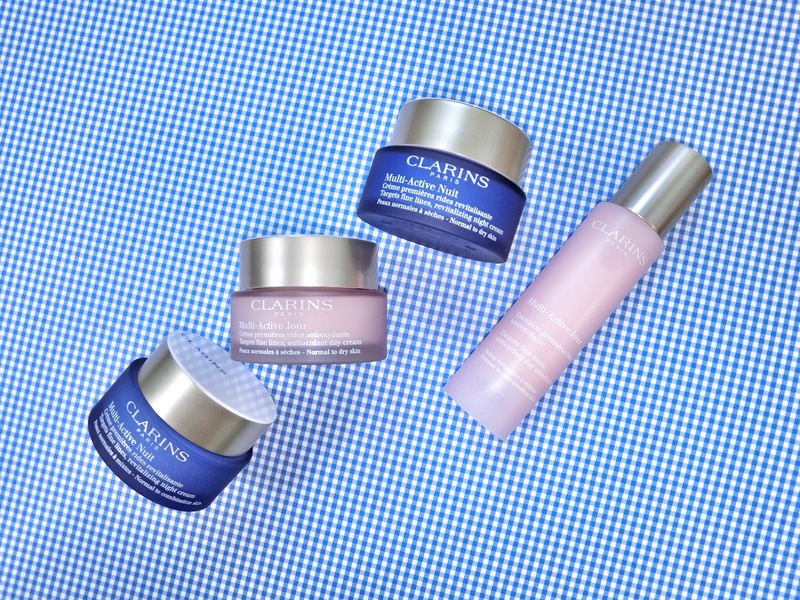 Concocted for the busy over-achiever, Clarins’ new Multi-Active range is blended with potent botanical extracts and antioxidants for maximum skin-regenerating effect. What we’re really impressed with at first touch are the comfortable and soothing textures of the new moisturisers in the Multi-Active day and night collection. Each feels cocooning and cushiony on the skin, wrapping it in moisture and goodness. These formulas target fine lines and other early signs of ageing. Multi-Active Jour for normal to combination skin is a light gel cream. Contains encapsulated teasel for targeted performance, as well as myrothamnus extract for its water-retaining property. Multi-Active Jour for normal to dry skin has a richer, soothing gel-cream texture. Multi-Active Nuit for normal to combination skin is a light creme made with the same encapsulated teasel, and ginger lily that stimulates the synthesis of collagen. The formula for drier skin is richer, but does not leave a cloying film on the surface of the skin. These moistuisers leave my skin generally brighter and clearer; and hydrated for longer. I find that I get better results when I used the Multi-Active creams with the new Double Serum.